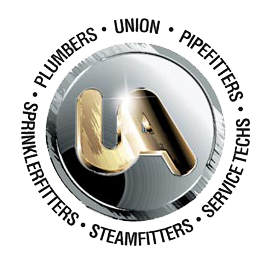 We’re proud of our well-trained, all-union staff of licensed technicians who are ready to provide you round-the-clock service, whether you’re an Ann Arbor resident or business owner. We give each job, large or small, the same level of care and attention. And we look forward to providing you worry-free service whenever you need it. In 1857, August Frederick Hutzel opened the doors of “Hutzel and Company”, offering “groceries, paints, brushes, glass, mints and oils” to the village of Ann Arbor. In no time, the store became a staple of the community – a place for farmers and tradesmen to shop, meet and discuss the news of the day. In 1878, August’s sons, Titus and Hermann, joined the business. Titus, a forward thinking businessman, anticipated a growing market for electric lighting, central heating and indoor plumbing. He set up a plumbing shop in a corner of the store and soon was installing claw foot bathtubs, water closets and hot water heating systems in local homes. By 1915, The Hutzel Company enjoyed a strong reputation as innovative, honest businessmen who treated their customers and employees well. They’d contributed to the growth of Ann Arbor by contracting for the Ann Arbor Water Works Company and laying miles of cast iron water pipes along the city streets. In the 1950s and 60s, the business changed hands a few time until landing with three partners–Lloyd Zill, Bill Romerlhardt and Gene Cummins. Since then, we’ve continued to grow and expand; all the while keeping customer service and quality work our main focus. We’ve received a number of awards including recognition by the Michigan Plumbing and Mechanical Contractor Association’s for being Michigan’s oldest plumbing company. I got a new water heater from Hutzel Plumbing and Heating. They were thorough and also let me know that they could service my furnace and air conditioner. I have had problems with other service providers and Hutzel is clearly a step above the other providers. Courteous, swift, very competent and knowledgeable and explained the process very clearly.